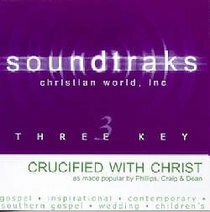 Phillips, Craig & Dean first appeared in 1992, when the trio's self-titled debut introduced a blend of Christian ministry, vocal harmony, and contemporary pop/rock songwriting. From the start, the group wielded a good deal of influence in the sacred community, earning nominations at the yearly Dove Awards and routinely dominating the charts on CCM radio. Albums like Trust, Lifeline, Where Strength Begins, and Restoration maintained such popularity throughout the '90s, and Phillips, Craig & Dean ushered in the 21st century by redefining themselves as worship-oriented band. Let My Words Be Few, Let Your Glory Fall, and Top of My Lungs all drew from the musicians' work as full-time pastors, featuring as much emphasis on scripture as the music itself. The group remained marketable, however, having scored a total of 18 chart-topping singles by the time Fearless appeared in 2009. Bio by John Bush, www.allmusic.com, Accessed 04.04.14.